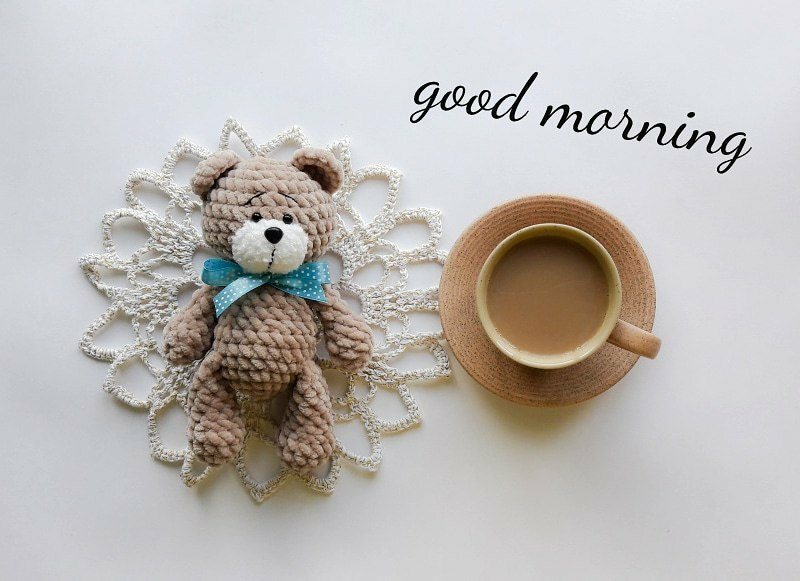 Little bears amigurumi is a plush crochet toy. Free amigurumi pattern by Julia Deinega. Fold top of leg flat and make ch, 4 sc through both sides across. Fold top of arm flat and make ch, 3 sc through both sides across. Kathy, what do you need more for this pattern? There are ears, head, body, arms, legs and tail. Use the picture of the completed bear to assemble, it’s easy enough to do!! You say there are instructions for a tail. No, there isn’t one. Would be nice to get that but for now I’ll just try to figure it out on my own. There is only the pattern, no finishing off instructions. Diane, don’t wait so much from free patterns. To have a full amigururmi tutorial you can buy any pattern at Etsy. Thank you for the pattern it’s super cute! Also what hook size do you recommend? bjr, adorable ces petits nounours,je craque tellement ils sont jolis.combien de hauteur font ils ?,svp.je prend votre modele avec plaisir ,je vais faire ces jolis nounours pour des bébés premas.je vous remercie pour ce modele gratuit mise a dispositoin de toutes (tous) les crocheteurs. if you look on the back of your yarn it will tell you what size of needle is compatible with the yarn. Amigurumi needs to be quite tight with normal yarn. So you use the hook to leave the least gaps. With this chenille yarn however you don’t have to use a greatly smaller hook as the fluffy yarn texture helps fill the gaps. what size eyes was used for this pattern please? absolutely adorable free pattern i used Bernat baby blanket and i am in love with this pattern very well written and easy to assemble by the pictures provided as well as just knowing where body parts belong. 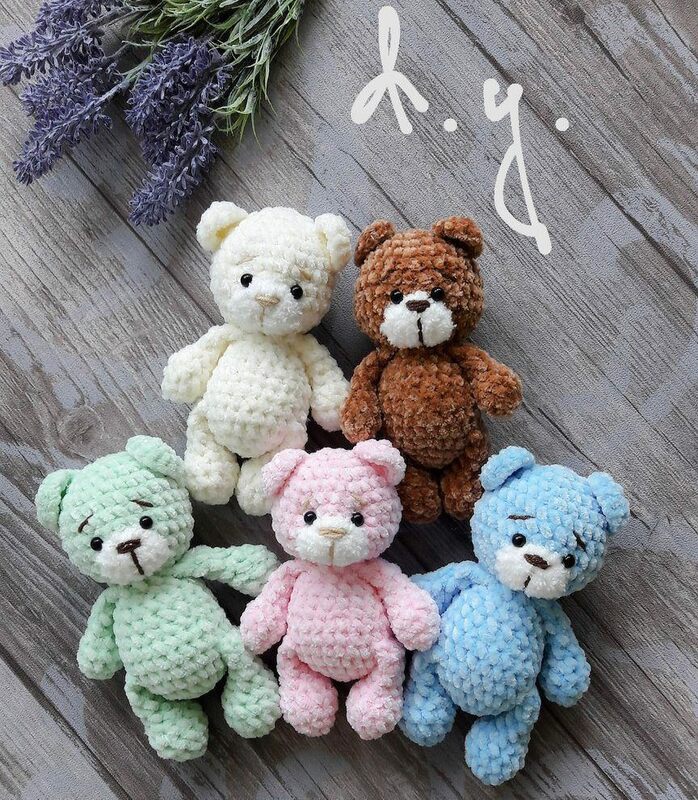 if your bear doesn’t look like the pic are you using the same type yarn because made with different yarn it will not look like the picture been there tried that lol. Love it and thank you so much for sharing it. Forget it, I must have missed the hook size. 4.5mm. I also used bernat blanket yarn. Sewing it together now. Looking adorable. For those of you complaining there’s no assembly instructions… If you’ve made amigurumi before, you really don’t need instructions. If you haven’t, just look at the finished bear… Simple enough to count rows to figure it out. Sometimes I wonder why anyone would even bother to supply a free pattern when they get so many complaints. How about just saying thank you or paying for a pattern. I apologise for the rant. Love your pattern however just one question, how would you close off the neck at the body once stuffed? i crochet the head and body in one piece,once your done with the body the end of head indicated in the pattern has same number of stitches on the body,so i just work from bottom of instruction up,if the pattern says decrease,you do increase (opposite)and you end up on number 1 of the head pattern. goodluck! for the tail: i make 3 chain on the 23rd stitch on row 5, slip stich on ch 1 and then continue Sc on 24th st. or you can make those chains for tail wherever you want the tail would be. I love it. Thank you for providing this for free.